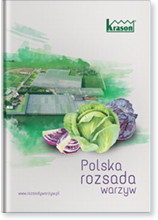 is the largest highly specialised producer of both greenhouse and field-grown vegetable seedlings in Poland. The professional production of seedlings was launched in 1997. 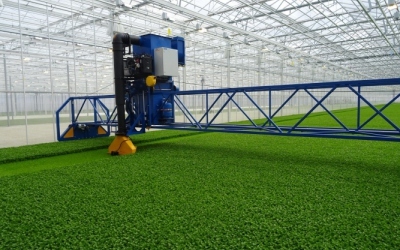 Over the recent years, we have modernised and expanded our company, thus allowing the production to take place over a total area of 14 ha, of which 11 ha are covered with modern greenhouse facilities. Not only is the “Krasoń”© brand known nationally but also in European markets. The countries for which we have been increasing, on an annual basis, the amount of delivered seedlings include Lithuania, Latvia, Estonia, Belarus, Slovakia, and the Czech Republic. In the last season, we supplied them with 12 million seedlings. 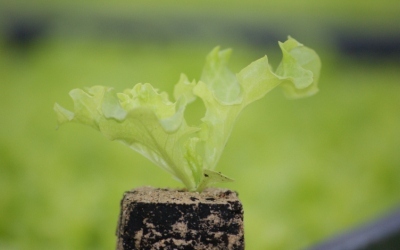 In the production process, we apply the latest technological and scientific developments, and all innovative solutions offered by both domestic and foreign seed companies. Our customers include both individual producers and large businesses, e.g. processing plants and cold stores. Last year, we produced approx. 8 million greenhouse seedlings of tomato, cucumber, and sweet pepper, and over 255 million field-grown vegetable seedlings of tomato and sweet pepper, cabbage, cauliflower, broccoli, celeriac, leek, lettuce, etc. We place particular emphasis on high quality and timely deliveries. We are the National Masters of the Agroliga 2001 competition, and a Winner of the National Ranking AgroSuccess Stories 2009. In 2005, we won the Łódź Governor’s Economic Award in the category of “Agricultural Holding”, and the Owner of the holding was decorated with the Bronze Cross of Merit by the President of the Republic of Poland. At the end of the last year, Grzegorz Krasoń was honoured with the title of the Outstanding Agro-Entrepreneur of the Republic of Poland 2013. We highly recommend reading an article about our Company on the portal warzywapolowe.pl.